On the eve of Hurricane Sandy’s landfall in New Jersey, we opened up a bottle of the Clarendelle 2005 Red Bordeaux, a Clarence Dillon blend inspired by Haut-Brignon. It had a deep, earthy (but not musty) smell and enabled us to get a whiff of nice, dark berries and such while indulging our recent yet growing interest in Bordeaux. 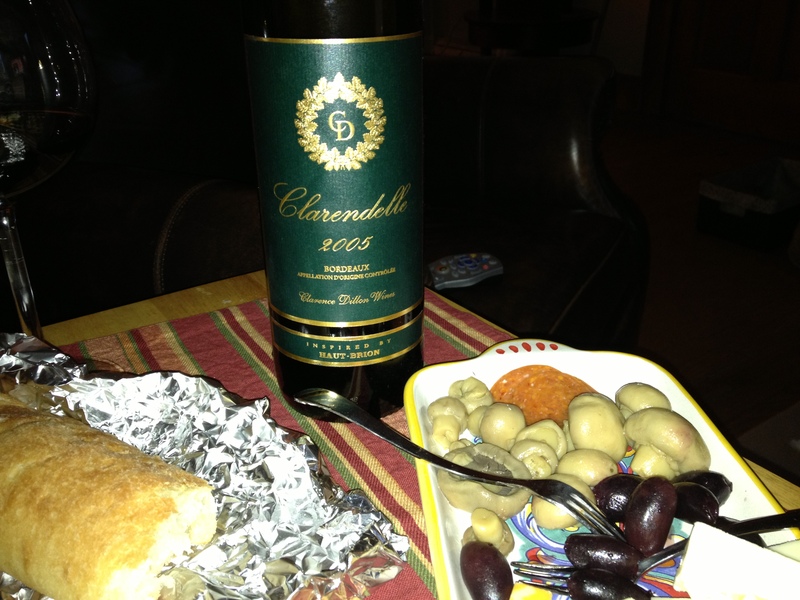 Clarendelle 2005, a Bordeaux from Clarence Dillon wines, that is inspired by Haut-Brion. Inspired by Haut-Brion, this elegant red Bordeaux is produced by the owners of that historic Chateau. Clarence Dillon purchased the estate in 1935 and his family has run it since then. Meanwhile they have branched out to other winegrowing regions including California, but with their roots firmly planted in Bordeaux, Clarendelle was an easy next step; an affordable, fine quality Bordeaux. This red is from the monumental 2005 vintage and shows its pedigree and its panache with a perfumed nose and lush, mouthfilling flavors over soft, silky tannins. This is one that’s ready to enjoy right now while your Haut-Brion is maturing. I’ve never had the Haut-Brion itself but if this copycat is any indication, then it’d be a worthwhile pursuit for sure.